A refreshing and easy to make beverage with apple and lemon juice. 2. Add sugar and 1 cup of water. 3. Stir well and bring to a boil until sugar has fully dissolved. 4. Remove and pour this into a large jug or pitcher. 5. Add the lemon juice, water and apple juice. 6. Mix well and serve chilled over ice, if preferred. Tip: If preferred, you can also garnish the drink with small pieces of apple. 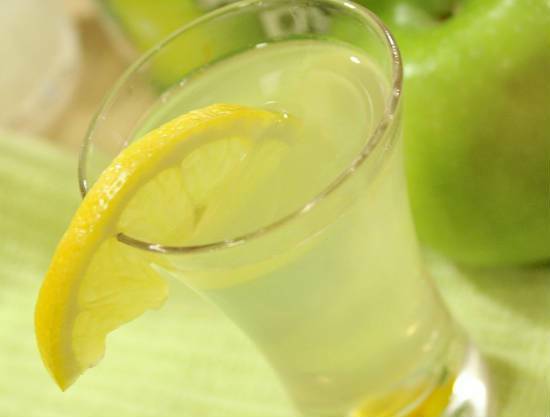 Feel free to comment or share your thoughts on this Apple Lemonade Recipe from Awesome Cuisine.